My favorite kinda rolls "jelly"! Thanks for the giveaway! Love the tablerunner! I have "Blue Willow" dishes and this would be a great addition to the table setting! Lynette, congrats. Please e-mail me at alma@blackbird-designs.com and give me your address. I will get your package sent out to you. Many kind thanks to all of you who participated in our Moda - Size Matters blog hop. The pattern for the table runner will be posted this week. 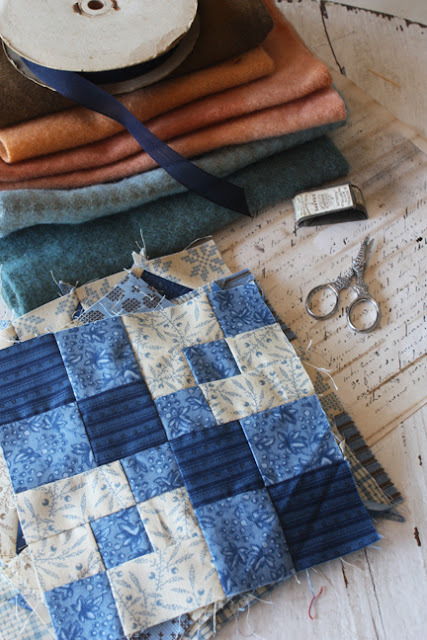 I know I promised it would be tomorrow, but I'm working on a quilt for market, and I have several blocks that are calling my name! Congratulations to Lynette! :) Looking forward to the pattern, Alma! Congrats Lynette! Thanks for a great blog hop! Congratulations Lynette! Enjoy that beautiful fabric. How exciting for Lynette, I hope she sends you a photo of her finished project. I'm French and my name is Marie. If I'm writing today is because I'm looking for foreign blogs (especially English) specializing in the carton. I searched the internet, but to no avail. Even if this is not your specialty, perhaps you even know when you could tell me. Hoping that you will advance my research, I wish you a good day. I just discovered the Ladies Prim Society that features some of your cross stitch patterns. I inquired about signing up, but they are completely full. Does that mean that those patterns of yours that are part of that club are lost to the rest of us forever, or do you think you might reprint them at a later date, either separately, or in a future book? Thank you. We don't have any plans on reprinting the patterns at this time. We might add the patterns to one of our cross stitch books next year. They are only available from the Ladies Prim Society for the first year. Thank you for your reply. I really hope that you will add the patterns to a future cross stitch book because I absolutely love them! I would have joined the Ladies Prim Society if I'd known about it in time. I'll definitely be joining for 2014. I am sure many of your fans would be appreciative if you do publish the patterns in one of your books. Thank you so much! 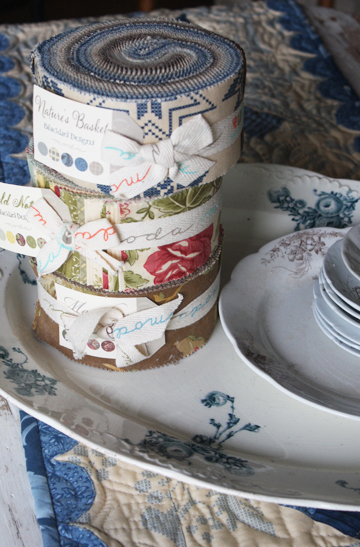 Thanks for the fabric jelly rolls, Alma! I received them Wednesday! My birthday is tomorrow (9/28) so it was an extra special birthday gift!! Thank you to all for the congratulatory comments. I promise to adequately caress and lovingly cut into the winning jelly rolls!!!! My group is as a result lucky to create a thrill to browse one’s own splendid guide. My group is pumped up about browse a lot more from your runs and even content articles. So, I’m so very happy include an opportunity to go through one’s own fabulous blog post. So, I’m awaiting go through even more belonging to the options plus articles and reviews. A man or woman will do an amazing get the job done! Currently go here construction company westchester county Make an effort to see my own websites on top of that and luxuriate in.